"Somebody pointed out that I hadn't had any of my counterparts, who I've worked with now for three years, up to Camp David. G8 tends to be a more informal setting in which we talk about a wide range of issues in a pretty intimate way. And the thinking was that people would enjoy being in a more casual backdrop. I think the weather should be good that time of year." The G8 leaders arrived at Dulles Airport throughout the day on Friday. This video shows the arrival of Italian Prime Minister Monti. 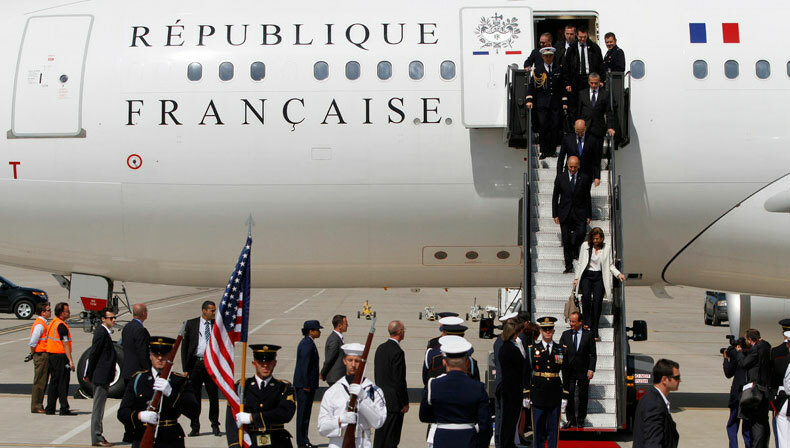 Upon arrival, the leaders were greeted and escorted into temporary portable buildings set up by the State Department to handle the leader arrivals. The portables provided a foreign delegation reception area that was "a quiet and tranquil resting place while awaiting onward movement". The furnishings were of "upscale quality" suitable for "foreign dignitaries up to the level of king, prime minister, or president". President Obama departed the White House for Camp David at 6:00PM. From the White House, it takes Marine One about 30 minutes to reach Camp David. The helicopter landing zone at Camp David is a short walk (or golf cart ride) away from the residential cabins. President Obama greeted leaders at the entrance of Laurel Lodge as they arrived for the welcome reception and dinner on Friday evening. The theme of the working dinner was "International Unity" and the discussions were focused on security. On Saturday morning, the media was invited into Laurel Lodge for a brief photo opportunity prior to the first working session of the summit. President Obama spoke about the discussions the leaders had the night before. Later that morning, the leaders headed over to the Aspen Lodge to pose for the G8 family photo. After the photo op, the leaders held their second working session followed by a working lunch with the leaders of four African nations to discuss the topic of food security. Three additional working sessions were held in the afternoon. President Obama also held separate bilateral meetings in the Aspen Lodge with Prime Minister Cameron and Chancellor Merkel. The summit had some relaxing moments as well. On Saturday morning, President Obama and British Prime Minister David Cameron went to the gym and used the treadmills. In the afternoon, the leaders watched the Champions League final soccer match. The summit concluded at 6PM and President Obama delivered the closing remarks outside the Aspen Lodge. National Security Adviser Tom Donilon joked that the "cabin allocation system" for G8 leaders was classified. The cabin choices must have been made with diplomatic care; some cabins are definitely nicer than others. 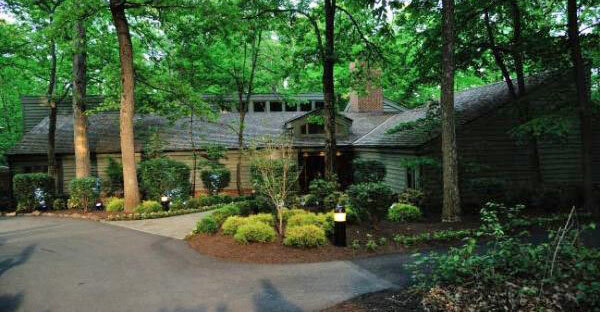 In her 2007 book, Laura Bush referred to the Birch and Dogwood cabins as "the two cabins where dignitaries stay". In 1978, Egyptian President Sadat stayed in Dogwood and Israeli Prime Minister Begin stayed in Birch. Read about how I discovered the cabin assignments for the G8 Leaders. Information and photos of these cabins can be found in the cabins section of this blog. The international media center was located at Camp Round Meadow in Catoctin Mountain Park. The State Department arranged catering to provide breakfast, lunch, and dinner there. To cover events inside Camp David, the press rode a bus from the media center to the Evergreen Chapel, which served as a press pool hold area. Reporters were forbidden to take any pictures while riding the bus. Some French journalists had to delete some photos they took while waiting inside the Evergreen Chapel. 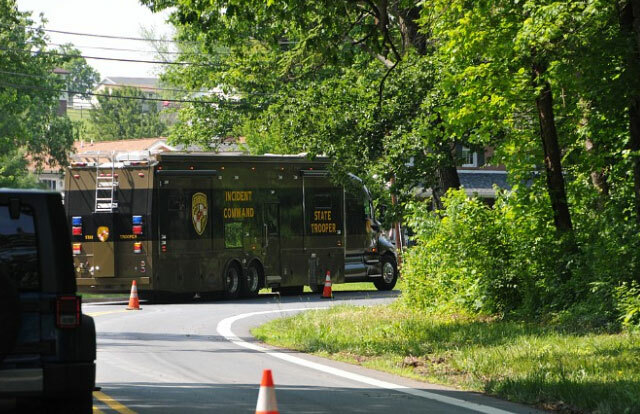 A pool report described the bus passing by "fenced-in wooded areas, several cabins, tennis and basketball courts, and a few golf carts zipping around the grounds". Gifts are traditionally given to the leaders at the G8 Summit. In February, Chicago-based R.S. Owens proudly announced they were selected to create a commemorative G8 gift from President Obama representing a famous Chicago landmark. 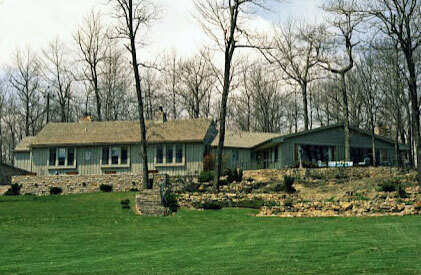 Less than two weeks later, the summit location was moved to Camp David. President Obama gave the leaders a Camp David parting gift, but details about the gifts were not initially disclosed by the media. It took a Freedom of Information Act request to confirm that President Obama gave each leader a black leather Camp David jacket. Read more about the Camp David G8 Summit gift. 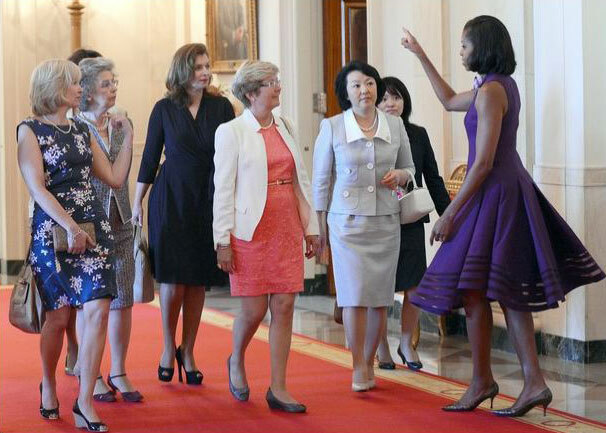 First Lady Michelle Obama invited the spouses of the G-8 leaders to the White House on Saturday, May 19th for a guided tour by White House Curator Bill Allman followed by a luncheon in the Blue Room. The meal was prepared by Chef José Andrés and the White House chefs using local produce grown in the White House Kitchen Garden. Menu items included gazpacho soup, Maryland rockfish, and tangerine sorbet with strawberries. President Obama invited four African leaders to participate in a discussion session on May 19th about food security in Africa: President Yayi Boni of Benin; Prime Minister Meles Zenawi of Ethiopia; President John Mills of Ghana; and President Jakaya Kikwete of Tanzania. 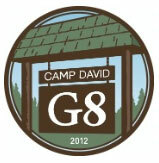 Upon the conclusion of the 2012 G8 Summit at Camp David, the official G8 Declaration was released by the White House. The National Park Service closed the Catoctin Mountain Park for security reasons during the summit. All trails, campgrounds, picnic areas and buildings were closed along with Cunningham Falls State Park. Foxville-Deerfield Road remained open to through traffic only and portions of MD Route 77 were closed east and west of the park boundaries. 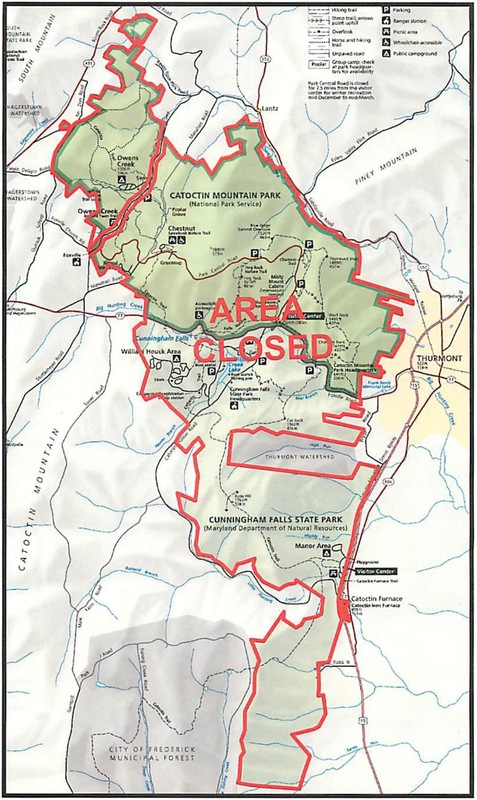 Click here to view the full-size map of the park closures. Maryland State Police issued a traffic advisory for weekend G8 road closures in Frederick County. The advisory gave details about Rt. 77 closures and increased traffic along the Rt. 15 corridor. The FAA issued a NOTAM effective at 5:30PM (EDT) on May 18th and ending at 8:30PM EDT on May 19th. The NOTAM defined a 30 nautical-mile radius TFR consisting of a 10-nautical-mile radius inner core (no-fly zone) and an outer ring extending out from 10nmr to 30nmr. 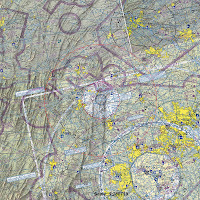 Aircraft operating within the outer ring had to follow specific "squawk and talk" procedures defined within the NOTAM. The FAA had previously published a Flight Advisory pertaining to the above TFR. The 30 nautical mile radius TFR is significantly larger than the usual 10 nautical-mile radius restriction ordinarily in place when the president is at Camp David. NORAD has established a warning signal for communicating with aircraft consisting of highly focused red and green colored signal lights (as shown in this video clip). This signal is directed at aircraft suspected of making unauthorized entry into a restricted zone. Pilots who do not adhere to the restrictions may be intercepted, detained and interviewed by law enforcement. 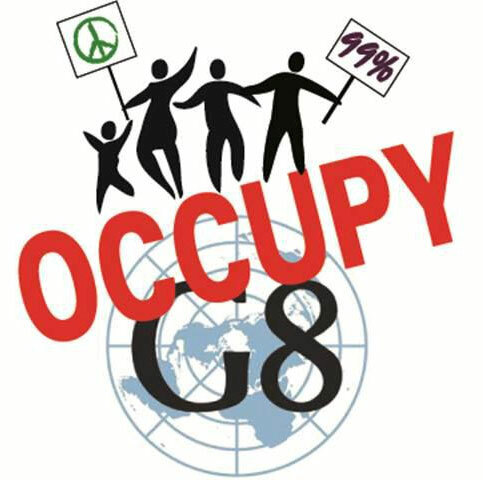 Shortly after the White House announced that the G8 Summit was being moved to Camp David, the Occupy Chicago group announced a Victory Party and declared "They have heard the cries for peaceful protest and are running scared". The Twitter hashtag #OccupyCampDavid quickly appeared along with tweets from accounts associated with the Occupy movement and the hacktivist group Anonymous. Early protest plans called for protesters to reserve campsites at nearby Cunningham Falls State Park during the G8 Summit. In early April, the Maryland Department of Natural Resources announced that the Secret Service requested that they close Cunningham Falls from Thursday May 17th until 8AM Sunday May 20th for G8 security reasons. The Baltimore Sun reported that the closure of Cunningham Falls was "highly unusual and may be without precedent". 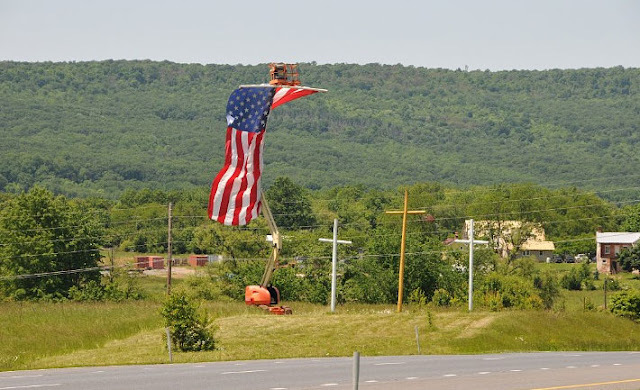 The Occupy Baltimore group announced their intention via Twitter to plan a visible protest in Thurmont A Thurmont farmer allowed some of the protesters space for camping out overnight. 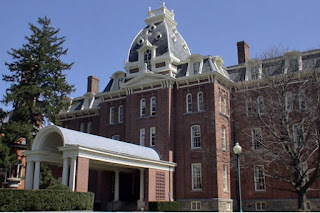 The Occupy group invited protesters to go to Thurmont to voice their concerns "regarding nuclear policy, energy policy, resource wars, agribusiness, the 1% corporate dictatorship, and other international issues." Their proposed G8-alternative People's 99% Agenda included topics related to nuclear disarmament, international banking reform, war, deepwater drilling, global climate, and a host of other issues. 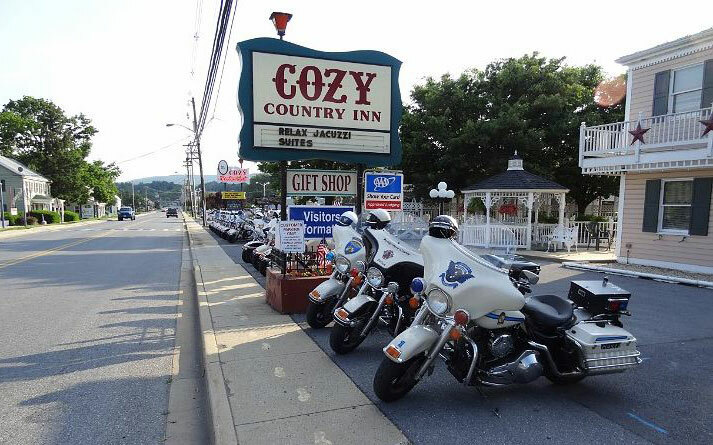 A local Baltimore TV news station interviewed the Thurmont police chief about preparations for protesters including a staging area for demonstrations away from the center of town and a section of a road that will be open for marches. The Occupy Frederick group planned a weekend of G8 protest activities 15 miles south of Camp David in downtown Frederick, MD. The "Occupy G8 People's Summit" was held on Friday May 18th at the local library with speakers from Public Citizen's Global Trade Watch, Jubilee Justice USA, and others followed by a march in downtown Frederick. On Saturday, the "Counter-G8 Community Bloc Party" was scheduled for a local Frederick park. Described as an "all inclusive all ages event for radicals and residents alike", the party featured free food, music, dancing, games, workshops, a free exchange of goods, and more. This tweet says there was "space for 100 tents and plans to caravan to Chicago after". 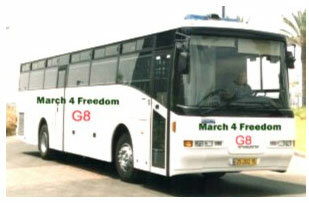 A local newspaper headline declared: "Frederick preparing for worst in case of G-8 riots". The Frederick Police issued this press release about protest preparations. A local TV news station also covered the town's preparations for the upcoming event. Frederick County released a video of Sheriff Chuck Jenkins addressing the citizens of Frederick regarding the upcoming G8 Summit. 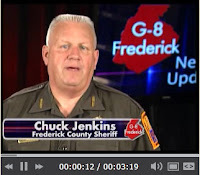 Sheriff Jenkins also wrote a letter to Frederick County residents advising them to be prepared for severe traffic congestion, a heavy influx of visitors, and security checkpoints throughout the area. He asked residents to respect the rights of protesters and "simply don’t get involved in conversations with activists or demonstrators that result in controversy". March 4 Freedom is a Washington, DC-based advocacy group whose main objective is to help coordinate the movement against genocide and dictatorship in Ethiopia/Africa. They planned a protest rally against Ethiopian Prime Minister Zenawi on Saturday May 19th. They arranged bus transportation from DC to Thurmont. About 200 protesters participated. As the closest town to Camp David, Thurmont had to prepare for an influx of visitors during the G-8 Summit. 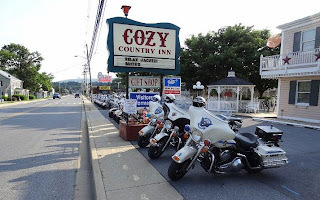 The Cozy Inn, which has a small Camp David museum inside, and the local Super 8 were booked by journalists covering the event. Local restaurants and businesses planned to schedule extra shifts to handle the crowds. According to Thurmont police chief Gregory Eyler, the 10PM closing time for the city parks would be enforced. The county sheriff's department made contingency plans in the event of large-scale protests and the deputies were prepared to work overtime. Some area residents rented out rooms in their homes on Craigslist. Or for $50,000 per week, you could rent your own mini Camp David at Trout Run - a presidential fishing spot and filming location for the West Wing TV show. Frederick County public schools closed on Friday May 18th out of safety concerns for their students. Local radio enthusiasts made plans to monitor the local airwaves during the event. 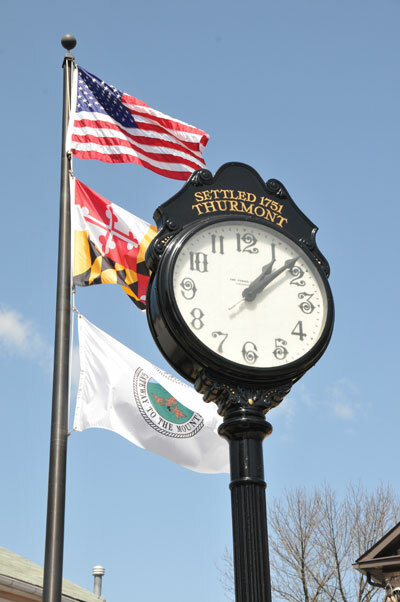 Here are some photos taken around Thurmont by Town Commissioner John Kinnaird in preparation for the G8 Summit. More of his G8-related photos can be viewed on the Thurmont G8 website. The State Department planned to utilize FEMA's National Emergency Training Center (NETC) in Emmitsburg as meeting space for U.S. officials. They also contacted Mount St. Mary University about renting the campus seminary. Emmitsburg Mayor Don Briggs said they were expecting 300 guests to be housed at the training center and that local business owners were ready for the increase in visitors. 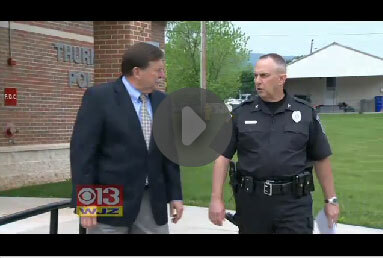 He said that Emmitsburg should expect extra traffic beginning on Tuesday, May 15th through Saturday. Take a short aerial tour of Camp David tracing the same route the president takes from the South Lawn of the White House to the landing zone at Camp David. You'll fly around the retreat stopping for a closer look inside the buildings before heading back again to the White House. The last G8 Summit hosted by the United States was held on a small resort island off the Georgia coast. President George W. Bush chose Sea Island for its " beautiful natural setting and reputation of gracious hospitality". The international press corps was located 80 miles north in Savannah, GA. The official website is no longer up but can be viewed here via the Internet Archive. The G8 protests were also centered in Savannah and plans for a G8 Protest Carnival were posted on the organizers' website (no longer online nor archived). Early news reports predicted anywhere between 5,000 to 100,000 participants. $35 million was spent on security for the summit including 20,000 law enforcement officers and military personnel. The total protester turnout for the G8 Summit was low at around 300 people. The local paper described a scene at the protest: "The 50 protesters danced, waved flags and shouted at 100 stone-faced officers in full riot gear, while a helicopter circled overhead and two patrol boats floated nearby in the river." Eighty miles to the south, another group of protesters marched down the closed 8-mile road to the entrance of the secure zone on Sea Island. The video below shows scenes from the march and the protesters' encounter with law enforcement on Sea Island.